Edward H. Mitchell Vintage Postcard in Good, Posted 1908 Condition. Upper Left Corner has some edge wear and creases. 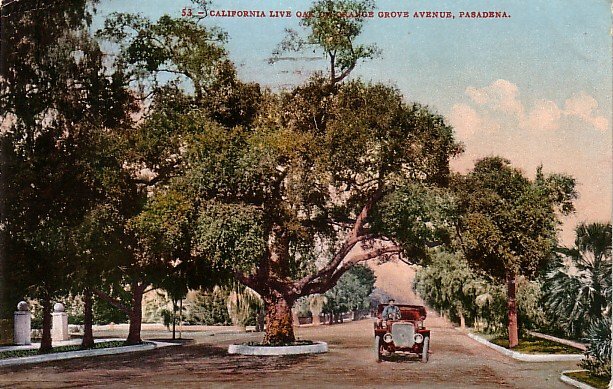 Post Card shows a California Live Oak growing in the middle of Orange Grove Avenue in Pasadena, California.